Lawrence Ramstrum Construction turns your ideas for modernizing your home into reality. Although our specialty is kitchen and bathroom remodeling, we perform a variety of services that make your residence beautiful and functional. Our residential remodeling services include New Carpets, Redesign with Lighting, Ceilings, Fireplaces, Custom Doggy Door, Custom Gates and more. Your employees have to be at work for at least eight hours, so they need space and comfort. From server rooms to sound retention systems, we do commercial remodeling services that make your workspace more conducive for work. 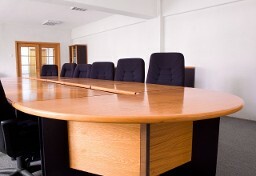 Commercial services include, Commercial Additions, Nurses Building Remodels, Computer Room Remodels, Server Room Remodels, Upgrades, Acoustical Ceilings, Sound Retention Systems and more. Contact our remodeling contractors at (805) 684-7566 in Carpinteria, California, for your free estimate. Give your home or business a custom look with help from Lawrence Ramstrum Construction. 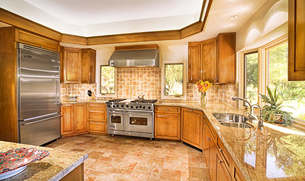 Since 1976, we have been one of the most trusted names in construction in Santa Barbara County. We specialize in kitchen, bathroom, and general home remodeling, in addition to commercial remodeling. Our owner-operated construction company also specializes in building with green products that are better for the environment. To ensure that we satisfy your requests, we keep the lines of communication open. Call Lawrence Ramstrum Construction to do the job right from beginning to end.